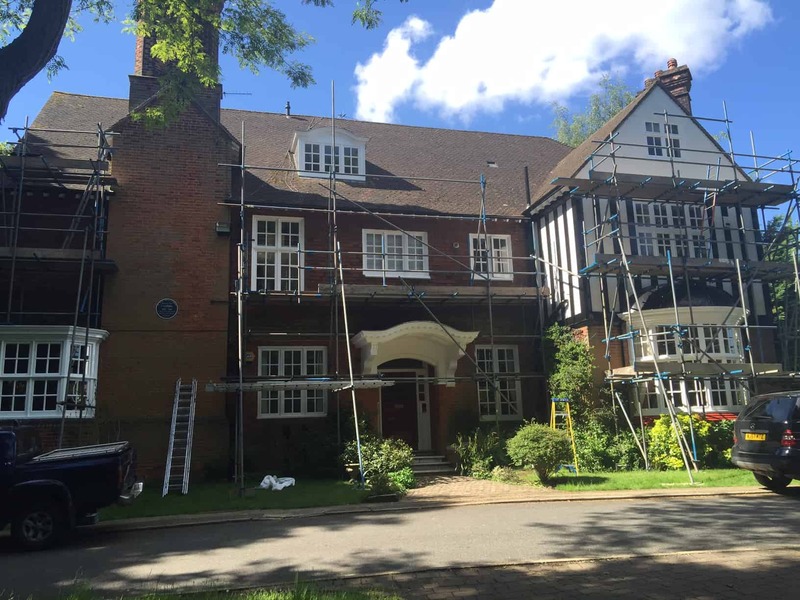 Exterior painters Sevenoaks - AJS painters and decorators For all painting and decorating requirements in South East London, Kent, Central, City and Greater London. Internal and external. Looking for a professional painter and decorator in Sevenoaks? AJS Painting and Decorating services, painters Sevenoaks team are the preferred exterior painters in Sevenoaks serving households and businesses within the Sevenoaks postcode area of TN. We cater for all types of decorating from external painting of buildings and homes, to interior painting and decorating. We only use the best materials and high quality paints and our workforce is Advanced City and Guilds qualified. Our work comes with a 2 year guarantee. We are also members of Dulux Select Decorator network member number 320686338 and the Government’s Trustmark organisation. So you can be rest assured with our guarantee and association with Dulux and Trustmark, your painting and decorating project in Sevenoaks, whether exterior or interior will be a success. AJS painters Sevenoaks team have over 30 years experience are fully trained, reliable and qualified within the decorating industry. Since forming the business in 2005 we have built an enviable reputation offering quality and efficiency. We have an excellent track record of happy and satisfied customers from both the residential and commercial side of the industry. You will always receive our personal attention whilst we decorate your business or home and we believe that is important to alleviate any concerns you may have. We give you advice on the best and most efficient way to proceed with your project and will work with any of your nominated project managers or designers if you decide to employ one. We will also manage the project on your behalf from the decorating side as part of the service. All our quotes are free and non-obligatory. Please use the ‘Request a call back’ box and you can be assured we will come back to you. Or you can contact us on the phone number or our email address at the top of the page.